Hello Beautiful, I hope you all have a great day! 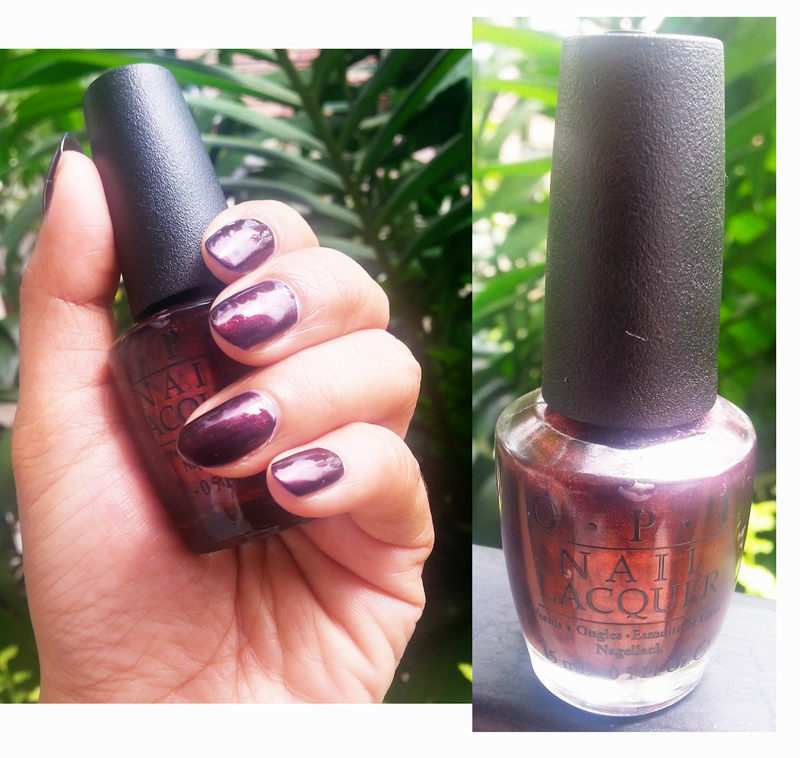 Today's post is coming from nail section again, and its from OPI "Every Month is Oktoberfest". I've have this nail polish for a couple of months now and even until today every time I apply this polish, it always sends me a "Vampy" vibe. OPI Every Month is Oktoberfest is a sophisticated polish, it looks dark but elegant at the same time. If you want to use a dark shade but not a black nail polish, then this is the polish you should pick. It's really unique! It has a glossy finish and very pigmented, 1 coat is enough, 2 coats is better! I am thankful for the opportunity to keep learning something new everyday. Essie "Play Date": Will You Be My Date?